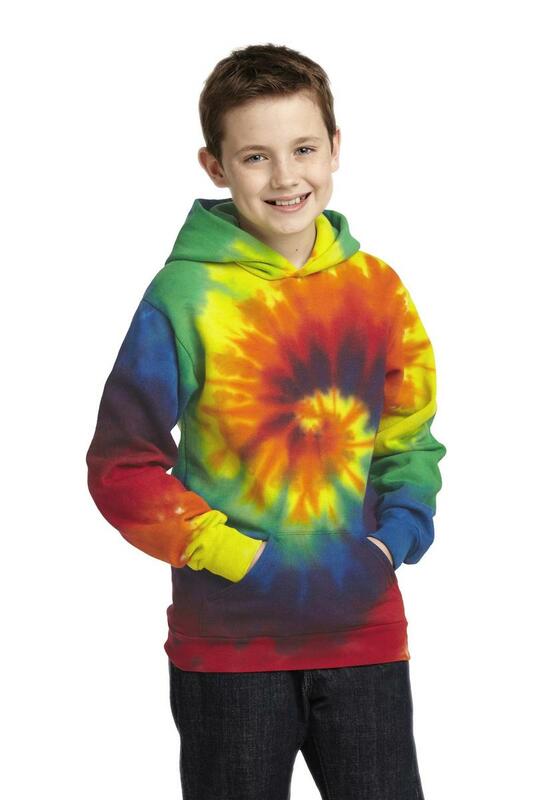 This throwback look is colorful and comfortable. 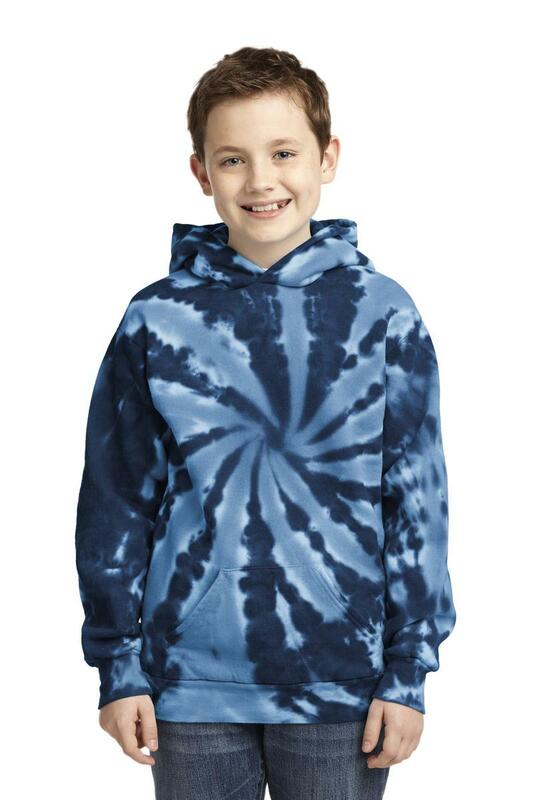 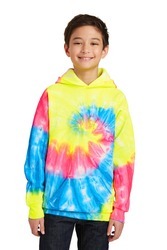 This sweatshirt is created with a prepared-for-dye blank and hand dyed for a vibrant look.7.8-ounce 78/22 cotton/poly fleece No drawcord at hoodThe tie-dye process infuses each garment with unique character. Please allow for slight color variation.